Gurung Heritage Trail is a popular choice for novice trekkers or for those wanting a hiking holiday in Nepal. The walk is short, easy, low altitude and has few, significant uphill climbs. With only a light day pack, you can walk from village to village at your own pace. This journey is a chance to experience rural Nepalese life and a distinctive culture. In Gurung, many men join the army, leaving the women to influence the community in organised groups. Expect a warm, cheerful welcome from them, to be offered plenty of tasty dal bhat and a chance to buy local handicrafts. You will see amazing views of the Annapurna and Manaslu ranges, Mount Dhaulagiri, dense forests, rivers and waterfalls. The wildlife is beautiful and includes gliding birds of prey and glorious rhododendron blooms. This trek can be combined with other activities such as honey-hunting, rafting and shamanism. 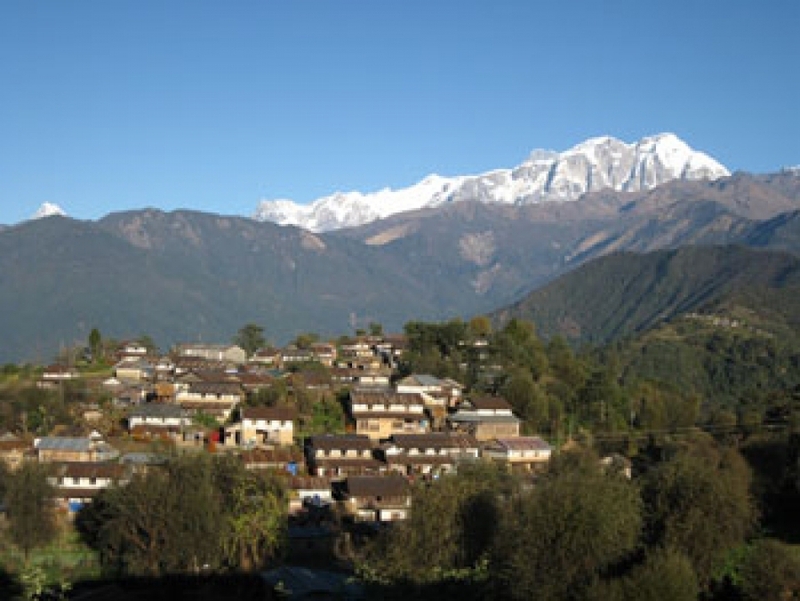 Villages visited include: Gale Gaon, Ghana Pokhara, Barpak, Hemjakot and Lawang.